This is a very cool picture!! It should win a prize! There is so much emotion...it just overflows with anticipation. Wow! ok, so from the side my belly doesn't look as huge as I thought it would. Nice picture Nat, you are the best!! i have to agree with shelly -- "two bowling balls". 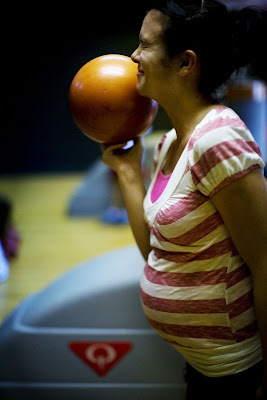 although the "bowling ball" in the belly is still not that big.